(TibetanReview.net, Sep19, 2017) – At 40.4-kilometres, the highway is very short by any standard; however, its opening on Sep 15 has a great civilian and strategic purpose – nothing less than on the scale of linking China to south Asia through Tibet and Nepal. The Tibet highway between Xigaze airport and Xigaze city centre in southern Tibet links China’s national highway to the Nepal border and experts have said it will enable Beijing to forge a route into South Asia in both economic and defence terms, reported China’s official globaltimes.cn Sep 18. The new highway will shorten the journey from an hour to 30 minutes between the dual-use civil and military airport and Tibet’s second-largest city, the report said, citing the Tibet Financial Daily edition of Sep 17. Referring to the new short highway’s huge importance, the report said it runs parallel with the Xigaze-Lhasa railway and links the city’s ring roads with the 5,476-kilometre G318 highway from Shanghai to Zhangmu on the Nepal border. And as a part of G318, the highway connects the border town of Zhangmu with Lhasa, the capital of Tibet. What is more, it can link with the future cross-border Sino-Nepali railway, Zhao Gancheng, director of the Center for Asia-Pacific Studies at the Shanghai Institute for International Studies, was cited as saying. China’s party mouthpiece People’s Daily was cited as reporting the railway included two lines: one connecting three of Nepal’s most important cities and the other one crossing the border between Chinese-ruled Tibet and Nepal. The planned Sino-Nepali railway line will pass through Tibet’s border town of Zhangmu and connect with routes in Nepal, becoming the first one by which China enters South Asia. India is always disgusted when neighbouring countries attempt to get closer to China, the report cited Zhao as saying. The report said the 25-meter-wide new highway between Xigaze peace airport and Xigaze City centre had four double lanes and was classified a first-tier highway. “It can be used by armoured vehicles and as a runway for planes to take off when it has to serve a military purpose,” Zhao was quoted as saying. Wei Qianggao, deputy head of the Tibet transportation department, has said the new highway is an important traffic programme in China’s 13th Five-Year Plan and a core section of the Tibet Autonomous Region’s highway network. 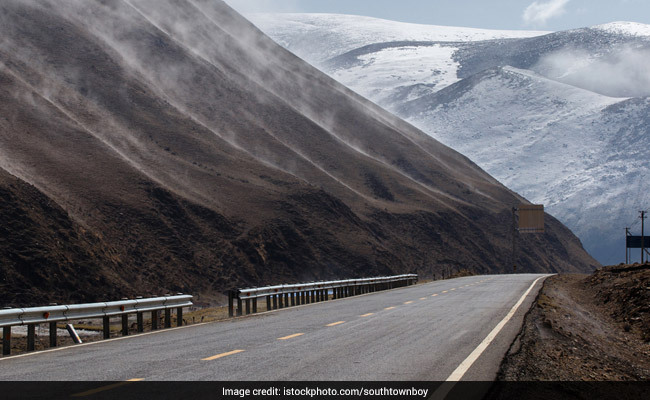 The total highway mileage in Tibet Autonomous Region had reached more than 80,000 kilometres in 2016, increasing nearly 19,000 kilometres since 2011, Wang Jinhe, another official from the Tibet transportation department, was cited as saying.